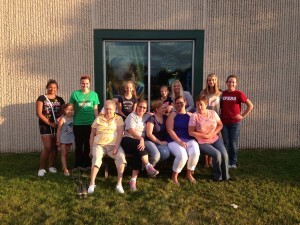 As a candidate for Miss Inver Grove Heights a year ago, I had experienced something I had never done before. 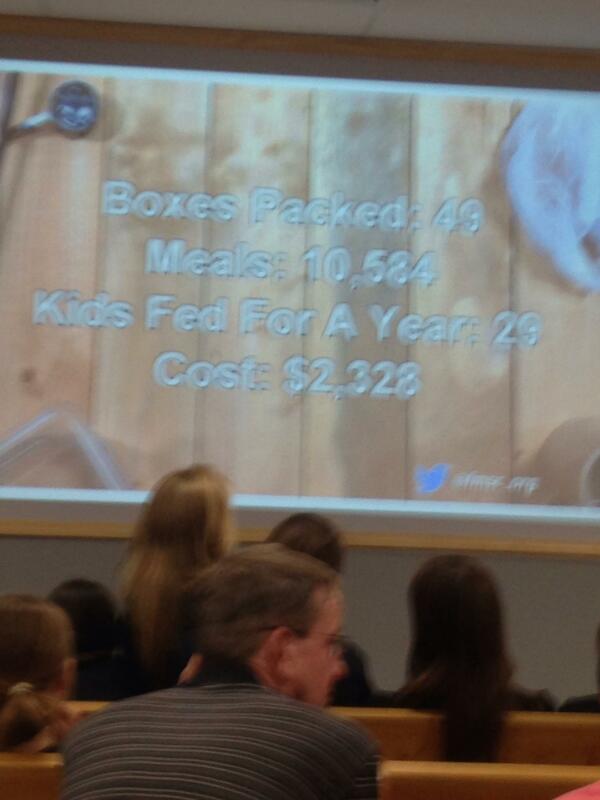 With the 2013 royalty together with the other candidates, I participated in Feed My Starving Children. 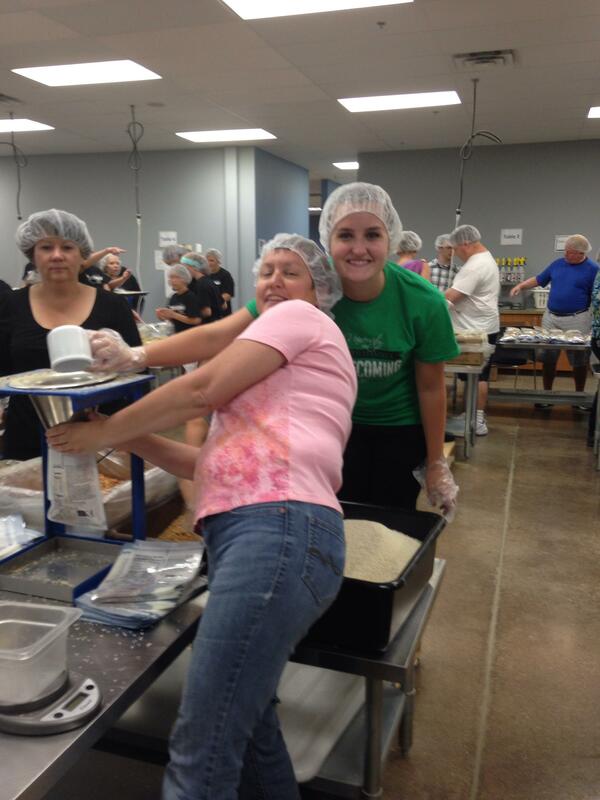 Therefore, for my third and final service project as Inver Grove Heights Princess, I decided to do Feed My Starving Children because it was so much fun! With the help of about 20 people including friends, family, and even some of my royal sisters, we packed meals for about an hour to help those in need in third world countries. 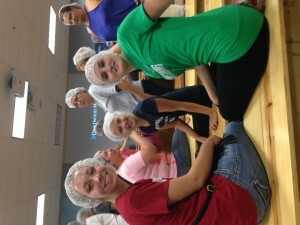 We all worked together as a team to get as many meals packed as we could. In the end, everyone who attended (not just my group, other volunteers were there too!) packed 49 boxes. That’s 10,584 meals!!!! 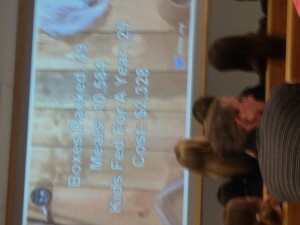 To put that into perspective, that much food will feed 29 kids for a year and the cost of those meals is $2,328. I would say we did a pretty good job and I am so glad that our volunteering will definitely make an impact on starving children somewhere around the world. 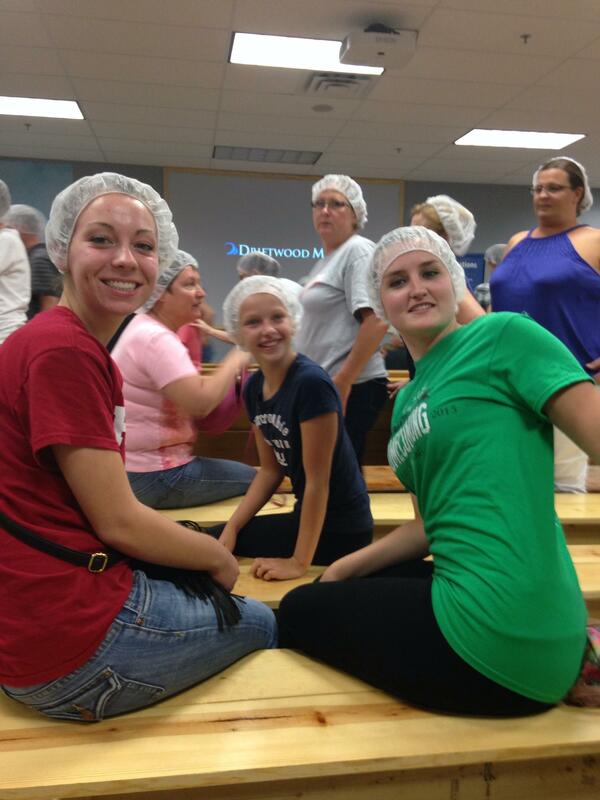 I love FMSC and I would love to do it again in the future! !